One of our absolute favorite things is collaborating with other vendors in the wedding industry on amazing projects! When Copper + Chloe and Molly Sue Photography asked me to join in on their Al Fresco Beach Inspired Styled Shoot, of course I said YES!! Just in time for summer and Jersey Shore beach days! 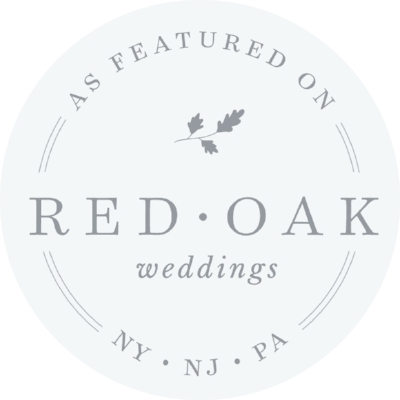 Amanda from Copper + Chloe had picked the perfect venue for this styled shoot, Spring Lake Bath & Tennis Club in Spring Lake, NJ. We have filmed a wedding there before and it is one of our favorite beach venues to work at! It is the perfect beach front location with amazing views and just steps to the water! The colors, styling, florals and the couple were perfection! And of course, we had so much fun working together and creating this beautiful recap video from the day! 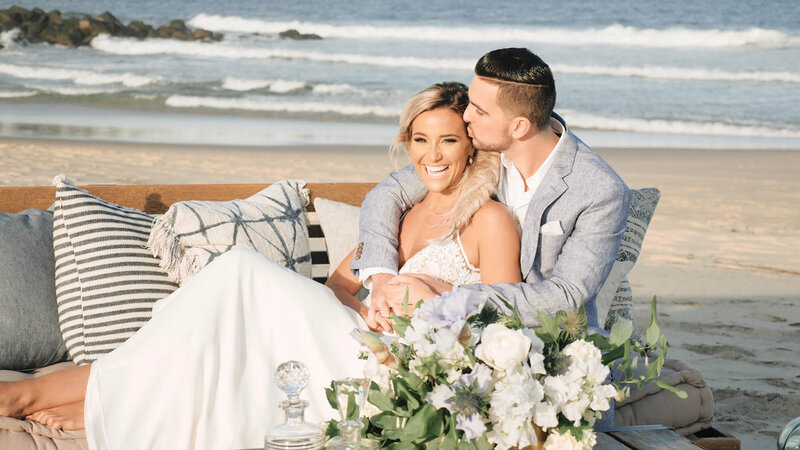 Also, we are so excited that this beautiful styled shoot was featured on Wedding Chicks with a write up all about Two Great Ways to Celebrate Your Beachfront Wedding. You can view all the amazing photos from Molly Sue Photography there AND of course our video is there as well! ...And when you have an amazing team of vendors how could we not put together this behind the scences video to show just some of the work and collaboration that took place! Check it out! How do I post my video on Instagram? This is a question we asked all the time! Posting videos to Instagram are a little different than posting a simple photo. Sometime it can seem confusing or maybe your not sure of all the settings you have available to you when posting a video on Instagram. Well today, we are answering all your questions! 01. DOWNLOAD THE VIDEO TO YOUR PHONE. 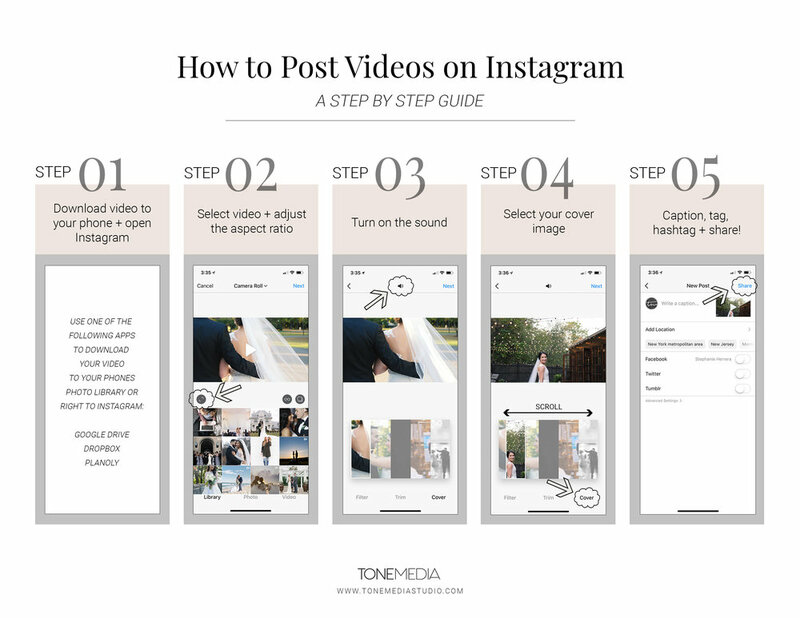 If you are trying to post your wedding video, brand video or any other video that was pre-edited to Instagram, getting to your phone so you can post can sometimes be so confusing! There are a few programs and apps we use to make this happen- Google Drive, Dropbox, Planoly or also by text! GOOGLE DRIVE // First, you will need to download the Google Drive App to your phone and connect it to your Google Account. Once this is set up, you can then drop any videos from your computer to your Google Drive. This will then allow you to access any of the videos on your phone when you open the App. Downloading the videos to your phone is pretty easy, click the video to bring up more options (use the '..." at the top right corner) and then select "Send a copy". More options will pop up, then click "Save Video". The video will then download to your phone's library. Google Drive doesn't tell you it's downloading, but it will be working in the background and the setting options will go away once the download is complete. This is the method we use 99% of the time! DROPBOX // You will need to download the Dropbox App to your phone and connect it to your account first. Once this is set up, you can then drop any videos from your computer to your Dropbox account. This will then allow you to access any of the videos on your phone when you open the App. When your ready to download the video to your phone, click the video to bring up more options (use the '..." at the top right corner) and then select "Export". More options will pop up, then click "Save Video". Dropbox will then export the video right to your phone and let you know when it is complete. You will find it in your phone's library. PLANOLY // If you have an account with Planoly, this is a great way to post videos to instagram without all the back and forth, downloading to your phone, etc... etc. Using the desktop version, upload your video right to your Planoly account, schedule your post and ta-da! You will still need to follow steps 2-5, since Planoly will not let you select your aspect ratio, sound options or cover image. 02. ADJUST THE ASPECT RATIO. Once you have the video downloaded to your phone, open Instagram and select the video from your Library. The first step you will need to do is adjust the aspect ratio. This basically allows you to select the size of your video, if you want it to be displayed as a square (1:1), landscape (16:9) or portrait (4:5). Instagram always defaults to square (1:1) so unless you change this some of your video could get cut off. Next... if the video has sound, be sure to turn it on! Just click the speaker icon at the top. 04. SELECT YOUR COVER IMAGE. This is probably the most commonly missed steps when people post videos to Instagram! There is a 'Cover' tab at the bottom right corner. This will allow you to scroll through your video and pick the perfect cover image to be displayed on your profile feed. Once you selected your cover image, click next at the top right corner! If you don't pick a cover image, Instagram will default to the first frame of your video as the cover. // Keep your video under 60 seconds, Instagram won't let you upload anything longer than that. If you do, they will just cut the end. // Don't fade up from black in the beginning of your video. If someone is sharing or posting your video and forgets to change the cover image, the video will show up black! We see so many people make this mistake, so in order to avoid this its better to eliminate the fade-in from black all together for Instagram videos. // Keep your video resolution at 1920x1080 or less otherwise it will not upload properly! We shoot most of our videos in 4k (which is a 3840x2160 resolution) so when we want to post a video to Instagram we will always down-res the video. // Try posting portrait (vertical) videos to Instagram! This is something new we have been loving! Instagram is a vertical platform, so why not take advantage of the vertical real-estate and create more engagement! See an example here. 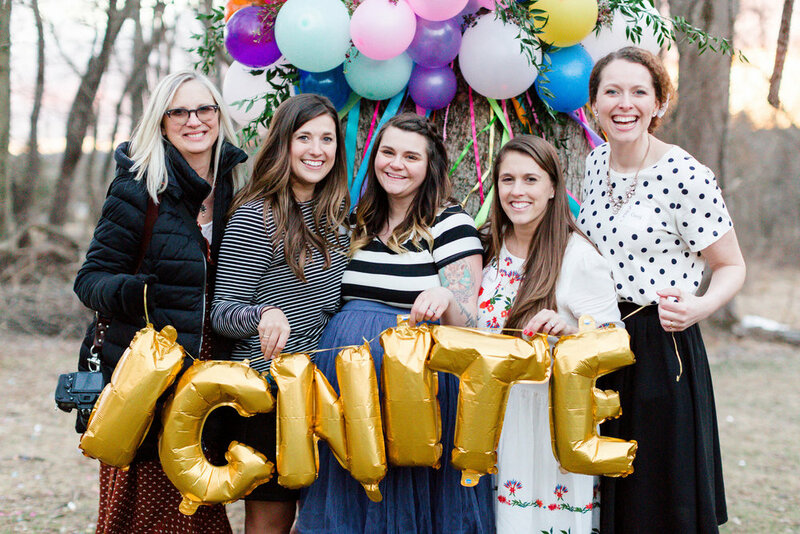 I am SO EXCITED to share with you all a recap video of the Ignite 2018 Workshop that took place in March! Amy, Cassi, Mekina, Jess and Debbie were the incredible speakers this year talking about website design, off-camera flash, second shooting, the art behind authentic and emotional posing, pricing and trusting God with big life changes in your business! Their words of wisdom and encouragement just blew me away - simply amazing! If you are not familiar with Ignite, it is a free workshop for photographers held by the NJ Spark girls. And NJ Spark is a group of Christian women photographers in NJ, NY and PA that meet weekly to discuss faith and photography. This is their way to serve and love on the photography community. The workshop is an amazing way to connect with others in the industry all while learning valuable information and resources to help grow your business. When the NJ Spark girls asked me to be apart of the workshop again this year, of course I said YES! I attended last year and put together a recap video which you can watch here. I was so excited to not only to capture the amazing talks this year, but also seeing all the attendees learning, watching and growing right before my eyes. This year, it was a one day workshop with 50+ attendees! The best part about capturing the behind the scenes of the workshop was seeing the impact these girls were making on photography community and all the people around them! It was incredible! If you would like to learn more about NJ Spark, you can check out their website here! And here is a little BTS of me! Thanks Lauren Kearns for snapping this! Audio plays such a BIG roll in putting together your wedding film. It not only helps to tell the story of your actual wedding day, but it also helps to tell your love story. A story of how you met, what you love to do, who you are as a couple, how you said "YES!" and serves as a reminder why you will be soon saying "I DO!" Did you know we actually spend A TON of time just selecting music and pulling audio bites from your wedding day first to craft your story before we even place the visuals down on the timeline to craft your film? Crazy right?! Making sure your film reflects your personality and style is so important to us. 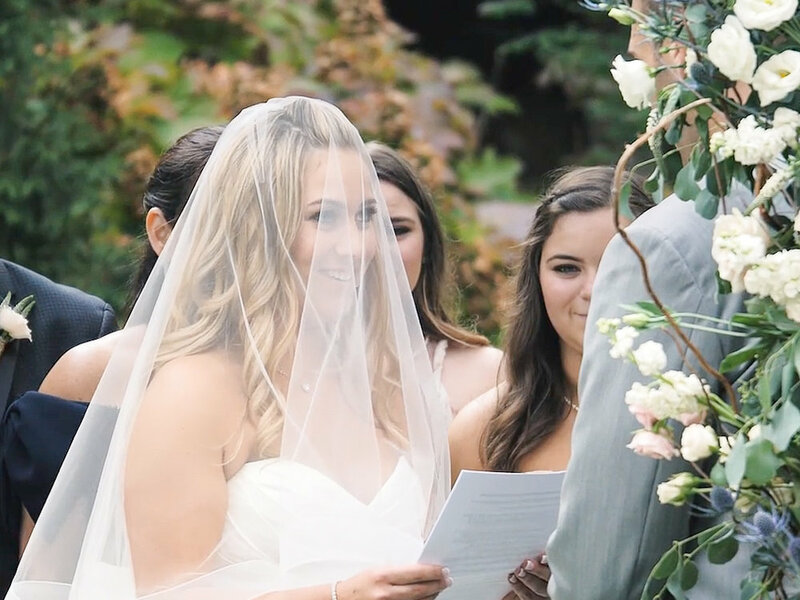 We want your wedding film to be a true reflection of you! 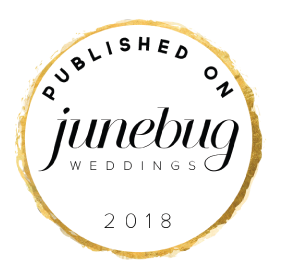 We love including audio bites from maid of-honor toasts, bestman toasts, father-of-the-bride toasts and even just natural sounds from the day (people laughing, cheering you on and telling you how beautiful you look in that wedding dress!). These are all great moments to incorporate into your film. But let's be real for a minute, we aren't always sure what will be said during these toasts, or how many drinks the bestman had before he is handed the mic and well... not everyone is a professional public speaker ready to give a speech infront of a few hundred guests! But thankfully through the magic of post-production we can make most people look and sound amazing! 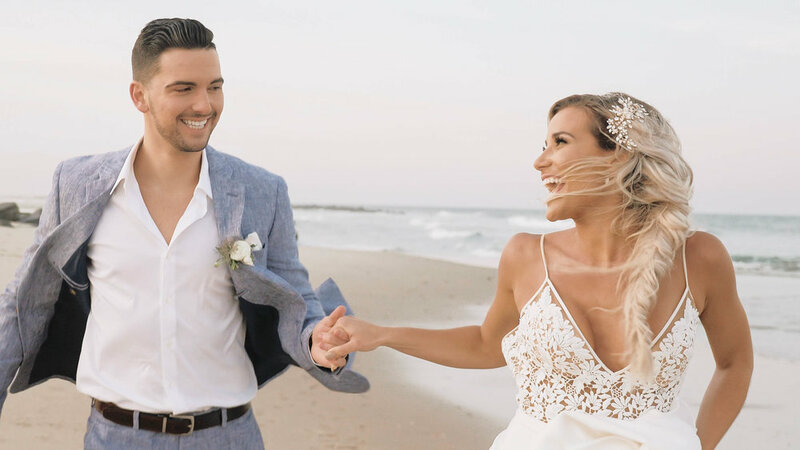 Something we absolutely love and encourage all of our couples to do is to incorporate their own voice into their wedding film! It adds a personal and unique touch; you can hear what you said, how you said it and remember how you truly felt in that moment. This gives you the chance to describe your love for each other in your own words and document your very own story. Your wedding film is about you and one of the greatest memories you will share together as a couple. Including your voice into your film creates an personal connection, one that you can look back on years from now and feel that way all over again. There is nothing more romantic than starting off your marriage with words from your own heart. Personal vows add a emotional touch to your ceremony. If you have a unique love story, this is your time to share it. Talk about the moment you met or fell in love and all the amazing aspects of your relationship. We find that when couples share their own vows, this is one of the most intimate moments of a wedding day. You will share so many emotions together; tears of joy, laughter and love. And the best part, we capture it all on film for you to hold onto forever! Just remember, don't wait last minute to do any of the writting; take your time, reflect on your relationship and the promises you will make to each other, after all these are words of forever! See a video example HERE and HERE. Some of you may be getting married in a church or having a religious ceremony where personal vows are not an option or maybe public speaking is just not your thing. Writing love letters to each other is a great alternative to doing personal vows. 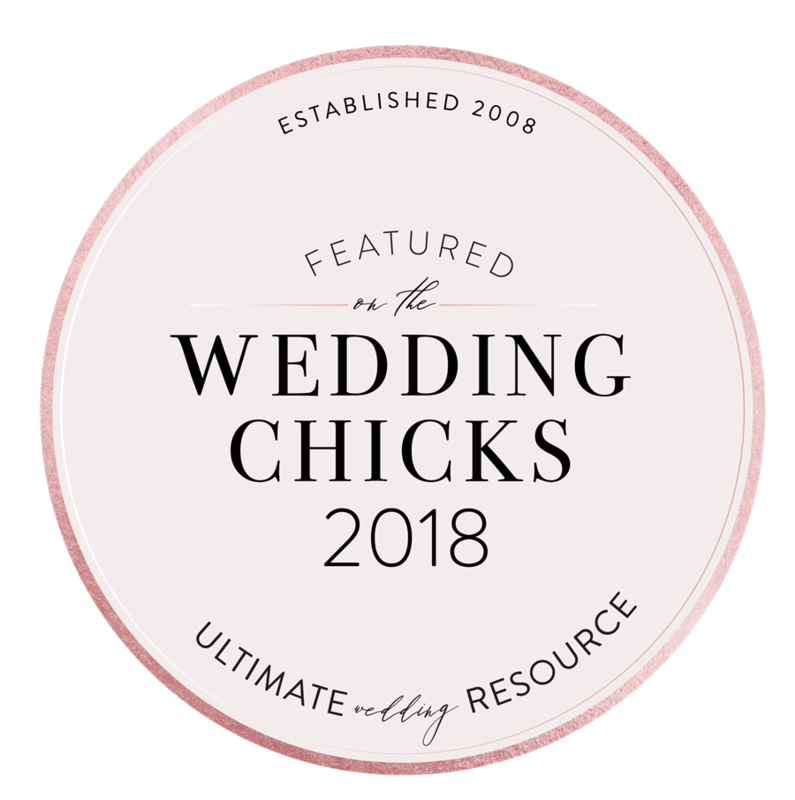 Many couples already plan on exchanging cards and/or gifts before the ceremony and this is a great way escape from any chaos of the day, to reminder each other why you are here and even help settle any wedding day nerves! 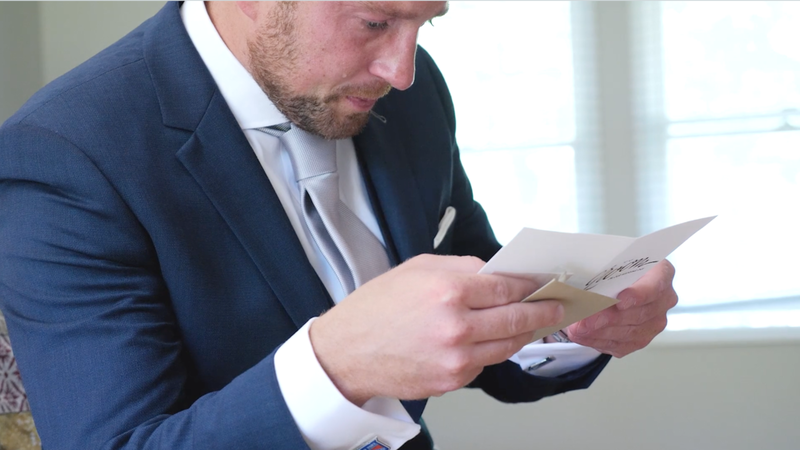 Love letters also serve as a great audio moment for your wedding film. We love having couples read their own cards; it's a great way for you to tell your own story, in your own voice and doing so without the audience! See a video example HERE and HERE. Giving a 'Thank you Speech' during your reception is such an amazing way to acknonowlge all the people who made your wedding day possible. Raising your glass and sharing words of appreciation for guests who traveled far and wide to come celebrate with you goes a long way! Some of the most memorable weddings we have been to is when the couple did a thank you speech. It is such a kind and heartfelt moment your guests will always remember. You get to toast to new beginnings, your new spouse and two families uniteing as one. And if your a little nervous about speaking in front of everyone, don't worry, everyone who will be there loves you, adores you and you won't be doing it alone since you'll have your new spouse by your side! See a video example HERE. Some couples may decide to incorporate all of these moments into their wedding day and that is great! But we encourage you to at least consider one of these personalized audio moments into your day. It will bring you back to all the emotions you felt on that day, allow your voice to be heard and your story to be told authentically!